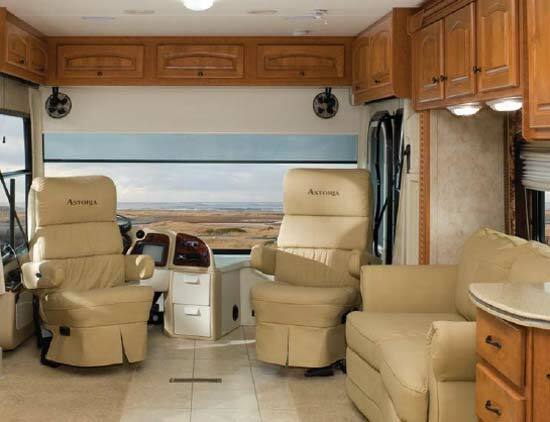 The pictures below show the beautiful interior of the 3772 model (see floorplans below) in Royal Crush. 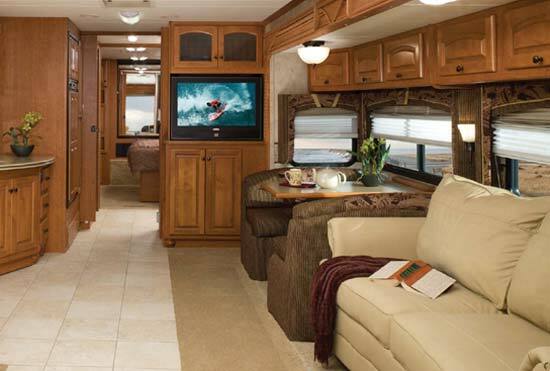 The 3470 is the shortest model (35’6″) with a featured full length slide (3 slides in all) and a beautiful U-shaped dinette. 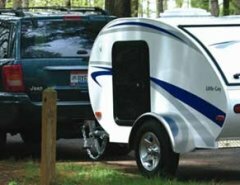 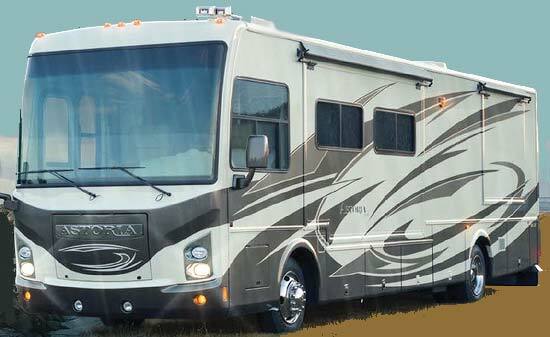 The other models are all 38’10” length and most have options for the floorplans. 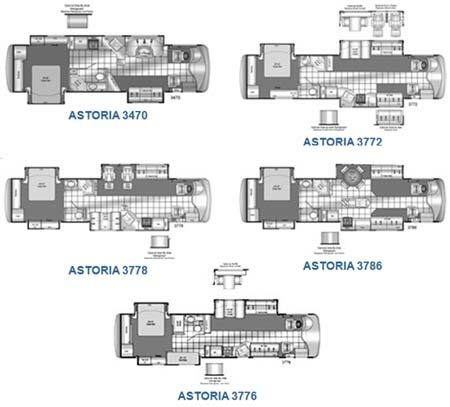 These models all have 3 slides except the 3786 with 4 slides. 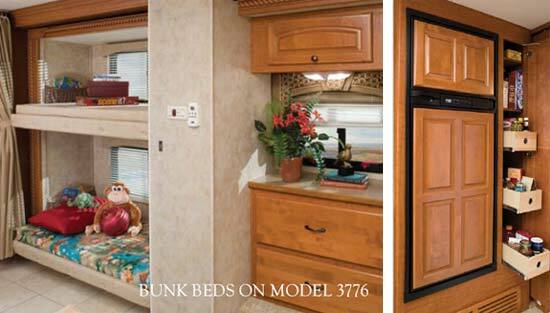 The 3776 model has a bunk bed arrangement that we picture above. 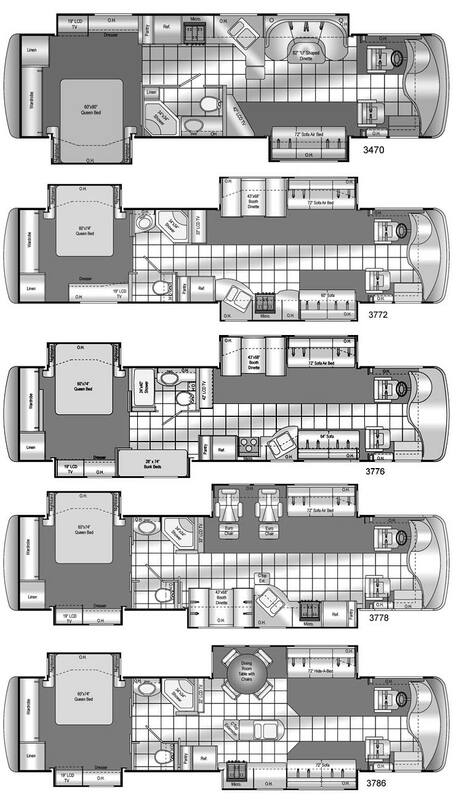 These really do think these are beautiful floorplans for a really nice class A coach which could be, as Damon comments: “the most affordable class-A diesel.” What do you think?